Need some physcial bulk on your team? Then this bro has your back. With access to instant recovery in slack off, Slowbro has amazing longevity. And if that wasn't enough, its Dream World Ability, Regenerator, heals 1/3 of its health upon switching out, further increasing Slowbro's staying power. This set basically functions as a bulky sweeper. The EV spread ensures Slowbro's amazing physical bulk. Slowbro will be able to take powerful physical attacks and recover with slack off or regnerator. 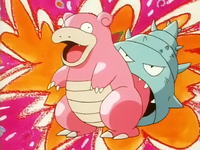 Calm mind corrects Slowbro's average special defense while boosting its special attack to attempt a sweep. 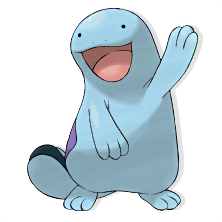 Scald is the primary STAB option as burning opponents further increases Slowbro's defensive cabalilites. Fire blast is included as it is the quickest way to get rid of Ferrothorn, who would be a problem without a fire move on the set. Unlike the pervious set, this set does not attempt a sweep. Instead, it frees up a moveslot for a status move. Toxic allows Slowbro to hamper other bulky walls, while Thunder wave allows slowbro to cripple sweepers. There are several options for a second attack. Psychic allows slowbro to better counter fighting types. Ice beam is for countering dragons and grass types. Fire blast is mainly an option for ferrothorn, as well as other grass types. Flamethrower is an option over fire blast if accuracy is prefered. Yawn can also be used in place of either status move. Given Slowbro's bulk and slow speed, he is a great pokemon to set up Trick Room. The idea behind the attacks is the same as the pervious sets. Its slightly risky, but Slack Off can be substituted with a third attack for added coverage. In that case, leftovers and regenerator would be the only means of recovery. Your sets are viable, but you should slash Eviolite on one of of the sets. Raikoo wrote: Your sets are viable, but you should slash Eviolite on one of of the sets. Sorry but, ever since when can Slowbro use the Eviolite? Slowking evolves when holding a Kings Rock + Trade. Unless you mean a Slowpoke set with Eviolite then I take back my Argument.